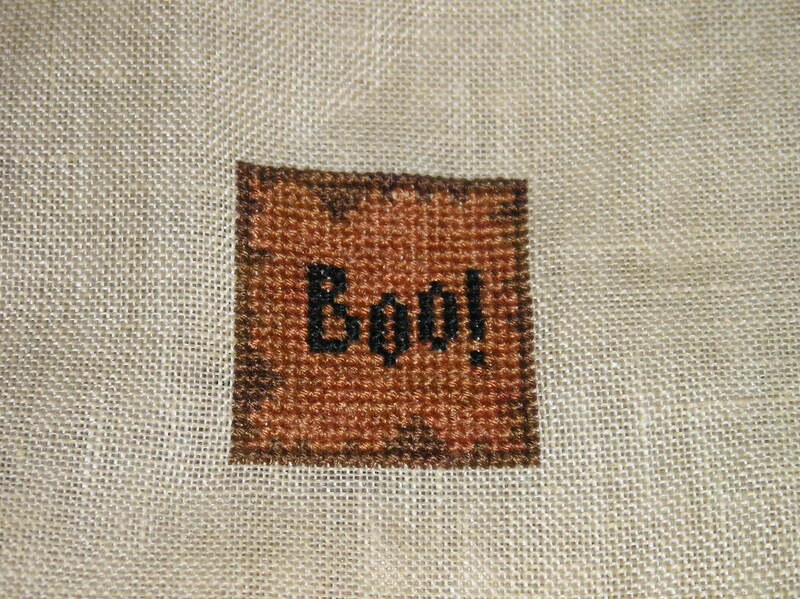 In celebration of Halloween, I’ve worked up this little design from Bent Creek, “Black Kitty” on 40-count sand linen with two strands of floss over two. I like the nice, thick effect this “overuse” of floss creates. 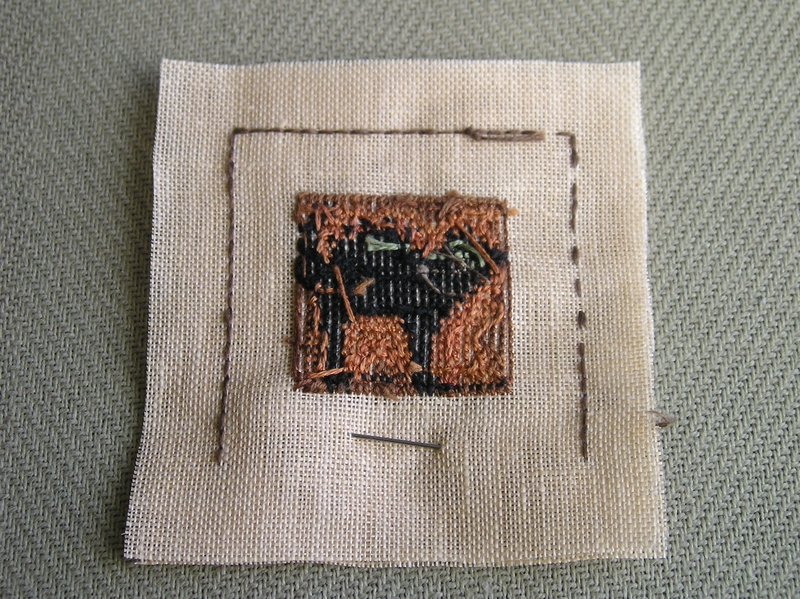 The cat has been done in DMC 310, classic black, but the rest was worked with Gentle Art Sampler Threads. 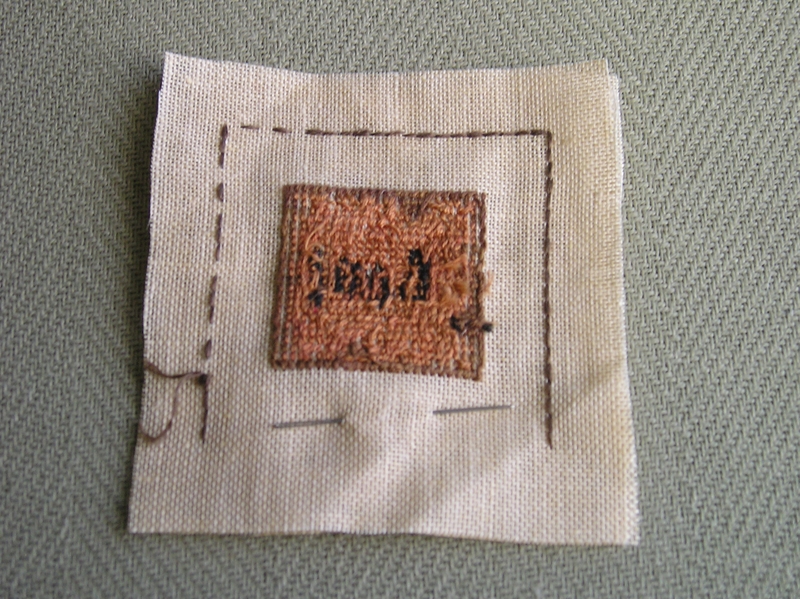 To create a “halo” effect around the cat, I stitched around the edges of the cat in concentric circles. 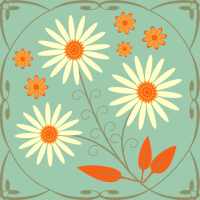 I don’t know if it actually shows in the final product, but I would still do it again to avoid, for this particular design, that horizontally-oriented variegated look. 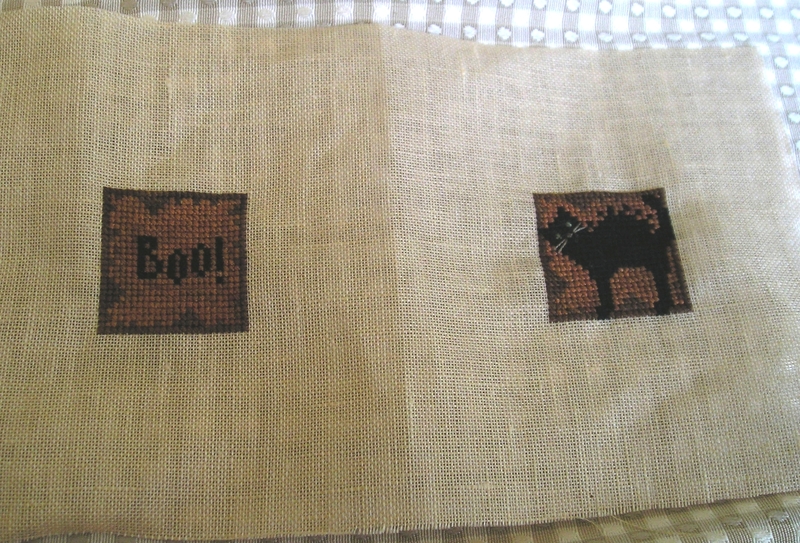 Because I am making this into an ornament, I “designed” a little matching pattern for the back — basically the same outline and background as for the “Black Kitty” pattern with the word “Boo!” (on the right). It’s a little surprise for anyone who checks out the back of the ornament. Now if I could only find my polyfiber fill and twisted cord maker… maybe they’re hiding as part of a Halloween prank they’re playing on me. Trick or Treat! 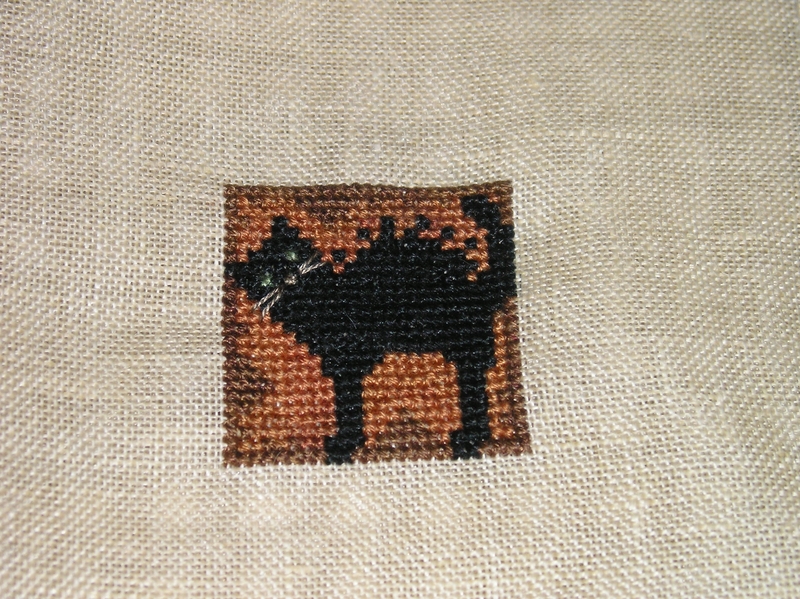 Next Post “Black Kitty” Finished!